We are looking for a competent Executive Administrative Assistant to provide personalized secretarial and administrative support in a well-organized and timely manner. 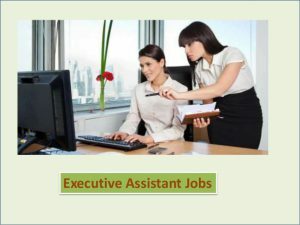 You will work on a one-to-one basis on a variety of tasks related to executive’s working life and communication. Please send your CV to nepal@sanchayaservices.com or visit our websites www.sanchayaservices.com.